Apple Inc. has always volunteered for carrying out the Corporate Social Responsibility and this time they have come forward for the recycling of old and unwanted electronic peripherals and accessories. Hence, the Cupertino based company is offering a discount of Rs 1000 of 50 percent (whichever is lower) to the customers who want to exchange their unwanted electronic items for a good discount of Rs 1000. 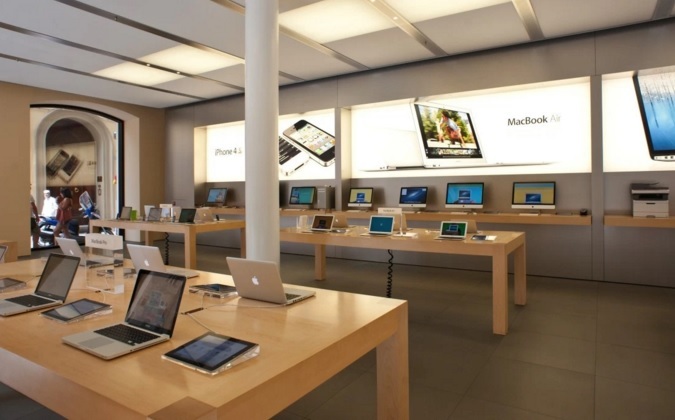 The APRS (Apple Premium Resellers) are offering consumers a discounts on the purchase of accessories as part of a initiative from Apple on the occasion of Earth Day which is Friday and apart from India, the offer will be available across the Globe. The offer means that consumers can bring their unwanted electronics for recycling and discount will be available on third-party iPhone, iPad, and Mac accessories, as well as accessories made by Apple. Apart from the recycling program, Apple also announced last week about teaming up with WWF(World Wildlife Fund) to raise awareness as well as money for wildlife conservation via in-app purchases. Apple has also been taking other initiatives such as Renewable Energy Investments, Reuse & Recycling and Forestry Partnerships for which it has launched a revamped Environment page and page also included the recently announced Liam, Apple’s robotic system that can take apart junked iPhones and recycle the valuable parts including silver and tungsten. The Annual Environment Report was released from Apple last week where details about recovering substantial amounts of gold and copper from its take-back initiatives in 2015 were revealed. Apple recovered nearly $40 million worth of gold and and $6 million in copper.